On September 25th 2017, St.Catharines City Council approved a new Economic Development Strategy that is the guiding document for the Economic Development Department and the City’s activities as we strive to retain, grow, and attract investment and employment to our community. Given that much has changed since our last strategy, including major investments in a new hospital, Brock University, as well as a revitalized and renewed downtown among others, this new strategy maps out the Economic Development Department's efforts for the next five years as we continue to pursue success. 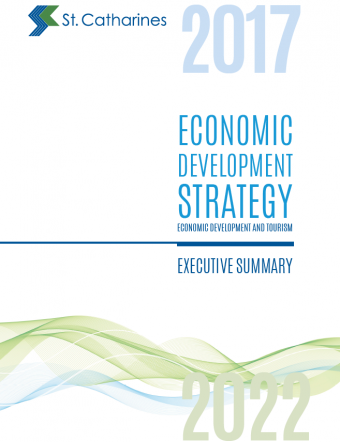 You can view the executive summary of the 2017-2022 Economic Development Strategy here. Please don't hesitate to contact us if you have any questions about the strategy or if you'd like to learn more about why St.Catharines is a great choice for your business.